Nepal Photography Tour “for the photographers or for those who have a great interest in taking photos” You can enjoy the Photography tour in Nepal and this is the only one country in the world where the culture, nature and other traditional things still exist, our guide will take you to the world most wonderful places with out the crowds, discover our small group, luxury photography tours to the most extraordinary landscapes and cultural experience. 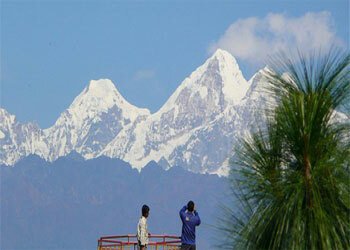 Nepal is a naturally gifted country with the beautiful scenario, landscape, flora and fauna, lakes, rivers, forests, etc. The panoramic mountain views, the historical and ancient places, monuments, Stupas, Monasteries has made Nepal the best destination for photography. Similarly, 10 of the places in Nepal has been listed in the World Heritage site by UNESCO which can be the key opportunity for those who loves photography. In this Nepal Photography Tour, you will be exploring many places where taking photos are not restricted and you can enjoy each and every moment with nature. The tour starts with from Kathmandu valley. We will be visiting different ancient places, historical palaces, monuments and also some old museums. With the visit of Kathmandu valley, the tour will take you to the beautiful Places of Nepal including the Sadhus at Pashupatinath temple where our death body is burnt in the fire on the river bank of Bagmati. 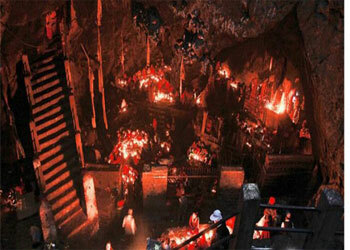 You will have meeting with many Sadhus and yogi, can see the pilgrimage praying at the temple. Sankhu, Pharping, Dakshinkali, Namobuddha,Bungmati and Khokana villages are the best place to capture the peoples faces, their life styles, we will visit the monks and their life in Pharping and Namobuddha, after Kathmandu we will visit Pokhara where we will capture from famous World peace pagoda and Sarankgot, where you will be able to witness the naturally beautiful of Nepal with the astonishing views of nature which will add some spice to your photographic tour. Tour Visiting Places: Kathmandu, Pharping, Namobuddha, Pokhara, Sarangnkot, World Peace pagoda. Transportation: Good Condition Private Car/Van depends on group size for the tour with a good driver, flight to Pokhara. Day 01: - Greetings at Kathmandu Airport and transfer to hotel. We will meet you at Kathmandu Tribhuvan International Airport with marigold flowers and you will be transferred to hotel. Where you will have your time to freshen up and after that, we will have brief meeting about the tour itinerary programme and other details, you can ask any question you may have with tour organizer and your tour guide. Give you the little briefing about the culture and other travel related services. Day 02: - Photography Tour inside Kathmandu Pashupati Nath ( Sadhus) and Monkey Temple. Today we will do the photography in Pashupatinath Temple, where our death body is burnt in the fire on the river bank of Bagmati River, you can meet many Sadhus and yogi, can see the pilgrimage praying in the Temple. after visit Pashupatinath We will go to Monkey emple (Swyambhunath, very ancient and essentially enlisted in UNESCO World Heritage sites.we can see the best view of Kathmandu valley from Monkey temple. After having breakfast, drive for about 1-1.5 hrs to Sankhu. 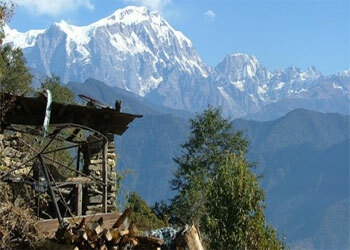 Sankhu is medieval Newar village which is major pilgrimage center for Hindus. The temple of Vajrajogini is situated here where a big mela is organized for one month. People keep fasting and worship here leaving their home for one month here in the name of goddess Parvati.we can see the Sali Nadi. Downhill south of Pharping, there is Dakshinkali temple which is dedicated to Kali, a blood thirsty incarnation of goddess Parvati, consort of Shiva. The name Dakshinkali is composed of the word “dakshin”, meaning “south”, and the name “Kali” meaning “black female”, and refers to the temple´s position in a spectacular river gorge of Black female goddess of south. To satisfy the blood-lust goddess people drag a menagerie of chickens, goats, sheep, pigs and even buffaloes occasionally to be beheaded and transformed into cuts of meat by the temple priest, who are also skilled butcher. Once the sacrifice is made, the meat goes in pot, the pilgrims bring all the ingredients to make barbeque and feast themselves under the shade of trees. Saturday is the big sacrificial day and also blood flows freelyon Tuesday. Tour of very ancient village near Kathmandu, Bungmati and Khokana and Kirtipur. Bungamati and Khokana are the ancient Newari village (of the 16th century) alike Kirtipur but a visit to Khokana and Bungamati is a bit different to the visit to Kirtipur. 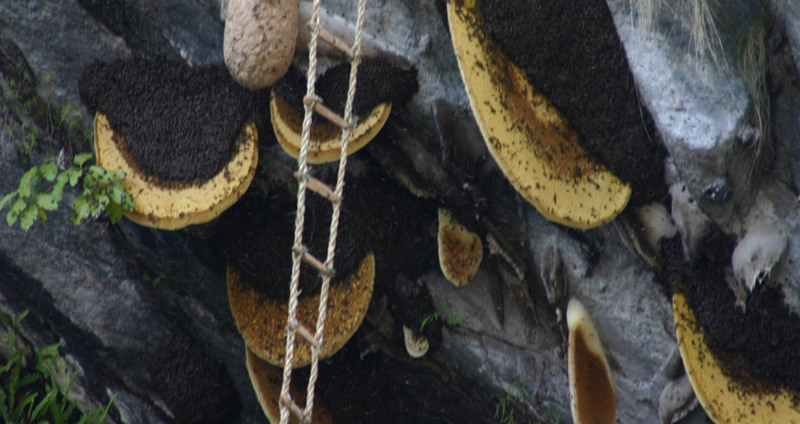 The people in Khokana are involved in the traditional oil making which is the main attraction of the village and the people in Bungamati are involved more in traditional wood carving which one can see in the historic places in and around Kathmandu valley. This is the perfect “day hiking” trip in Kathmandu. Kirtipur is a magnificent exception to the usual Newari settlements. Perched on twin hillocks and clinging to the saddle about 5 kms from Kathmandu. Kirtipur has two satellite hamlets to the south, Panga and Nagaon. The history of the village dates back to the 12th century when it was an outpost of the Patan but later on became a separate kingdom. The kingdom was so strong then it was defeated the Most powerful king of the Nepalese history three times when he tried to unify it with the Nepal. Day 07: - Fly to Pokahra, Photography in World Peace Pagoda, Boating in Lake and visitnear by Farm House. Today after breakfast we will fly to Poikhara, transfer to hotel, We will capture the photos with boating in the Famous Lake Phewa, We will be enjoying the photo sessions there in the lake with the beautiful scenario. 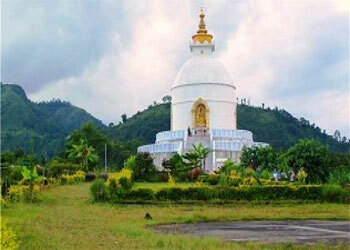 from here we will visit the local farm house, farmers working in the field and capture from world peace stupa. Day 08: - Early monry capture Himalayas from Sarangkot, late afternoon fly to Kathmandu. Early morning we will drive about 35 minutes to Sarangkot village which offers superb Himalayan vista consisting of the mighty peaks such as the Annapurna, Himalchuli, Machhapuchhare, and Lamjung Himal. Sarangkot tower hiking will amaze you witness the sunrise over the White snow-capped Mountains of Whole Annapurna and Dhaulagiri Ranges including fishtail view. back to hotel have breakfast, rest and roaming around lake side, afternoon fly back to Kathmandu and transfer to hotel. Today we make free day in Kathmandu, you can capture as you like can visit the local area near hotels like Kathmandu durbar square, local shops at Ason bazar. you will have time for shopping. Day 10: - Final Departure. Guided Tour with private vehicle and driver. best guide for whole photography tour. All local transfer by private car and add flight as per itinerary. International Airfare, Sightseeing/Monuments fees, boating fee.